I’ve seen those cookbooks that advise moms to trick their kids into eating their vegetables. All sorts of subterfuge is suggested to camouflage the undesirables as cutesy shapes or mask them under heavy sauces. I never went for that plan. If the kids don’t recognize the veggies on their plate when they’re young, why on earth would they ever choose to eat them when they’re older? Howls of despair for roasted cauliflower, or maybe it was the advanced algebra test? Funny how you can change your tune when those sweet little kids get bigger and noisier and you’re asking them to clean their plates on Meatless Monday and Whole Grain Wednesday. 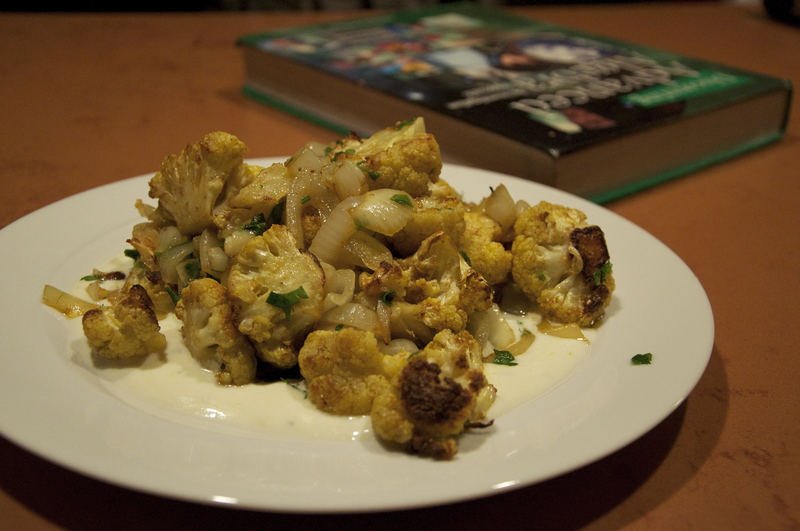 Last week started out particularly rough when I joined pan-grilled salmon with a most amazing recipe clipped from the Wall Street Journal: Andrew Carmellini’s Roasted Cauliflower with Yogurt and Mint. “BUT MOM … YOGURT DOESN’T GO WITH CAULIFLOWER!! !” Son #1, stressed from a pending algebra test, found it too much to handle. My explanation that the combo would be commonly found in Indian cuisine fell on deaf ears. Emboldened by my success with eggplant, I pushed ahead to Whole Grain Wednesday. I hid quinoa in a version of beef picadillo, a dish we’ve often enjoyed with rice. 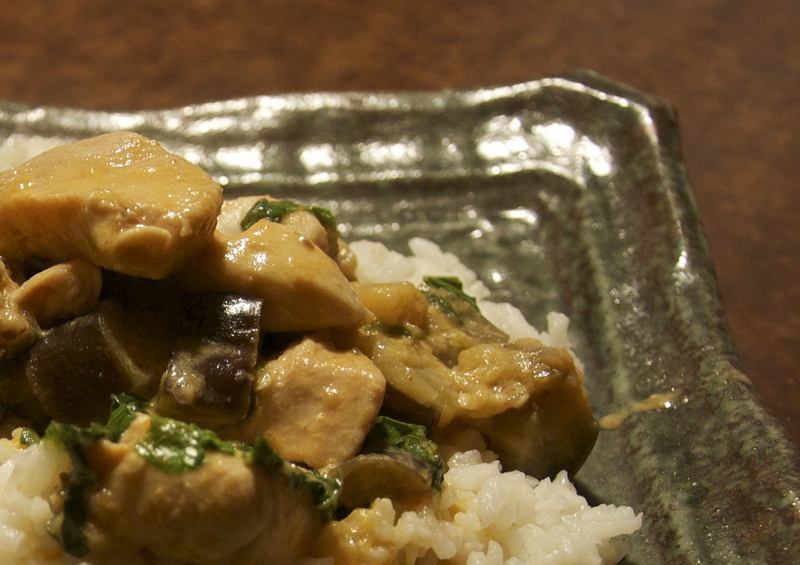 This time the family didn’t miss a bite, though a widely touted whole grain was a key ingredient in the meal. I’ve found a new hero in Lorna Sass. Her cookbook, Whole Grains Every Day Every Way, demystifies the world of whole grains. And as with her pressure cooker recipes, Lorna’s ideas for cooking with whole grains are tasty and fairly easy to pull off on a weeknight. Thermal Thursday featured a quick kale and sausage soup in the pressure cooker. Well, isn’t everything quick in the pressure cooker? By Friday I had energy leftover to assemble a “date night dinner” with my husband. The boys were busy while we indulged in rosemary-rubbed lamb chops and red potatoes thanks to a great recipe from an All-Clad pan-grill cookbook. Fresh steamed brussel sprouts made a colorful side but the real winner? A bottle of fine red wine tucked away for safe keeping five or so years ago. I wondered if we should save it longer for a special occasion. “I think we should celebrate getting through the week without any major disasters,” my husband noted. That’s good enough for me! 1 Response to "Sneaky cooking works like a charm"